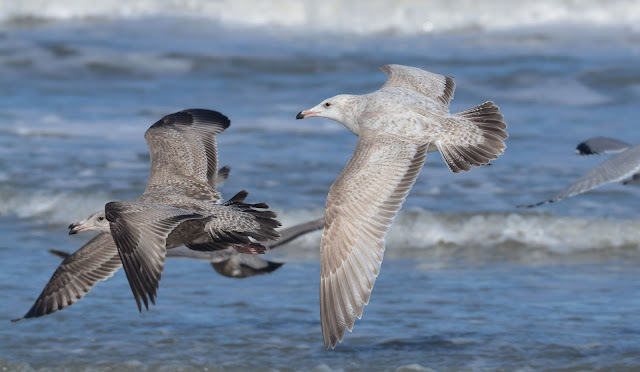 Anything Larus: Pale 1st Cycle American Herrings, Hybrids, Or Something Else? Pale 1st Cycle American Herrings, Hybrids, Or Something Else? 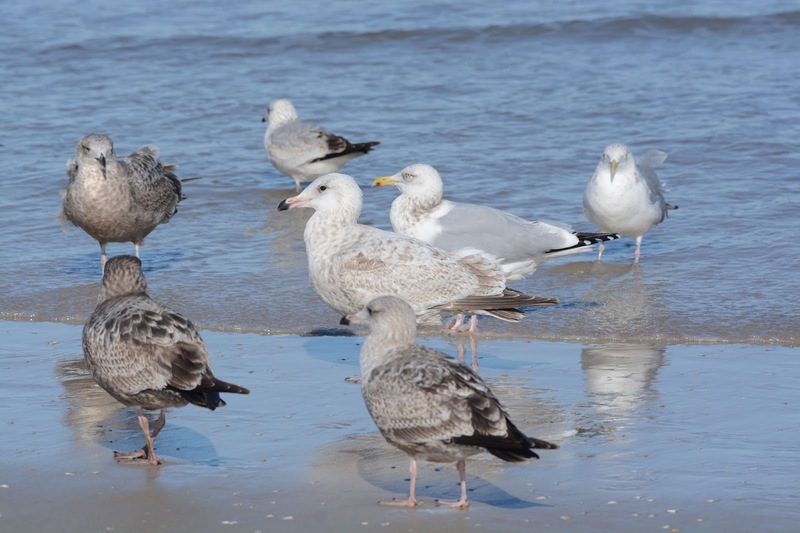 In the spirit of appraising the limits of 1st cycle American Herring Gulls, I put forth several individuals with interesting plumage aspects and upperpart patterns. All were photographed during the last week of January in Volusia County, Florida. 2018. Keep in mind this region borders the southern range limits of wintering smithsonianus. 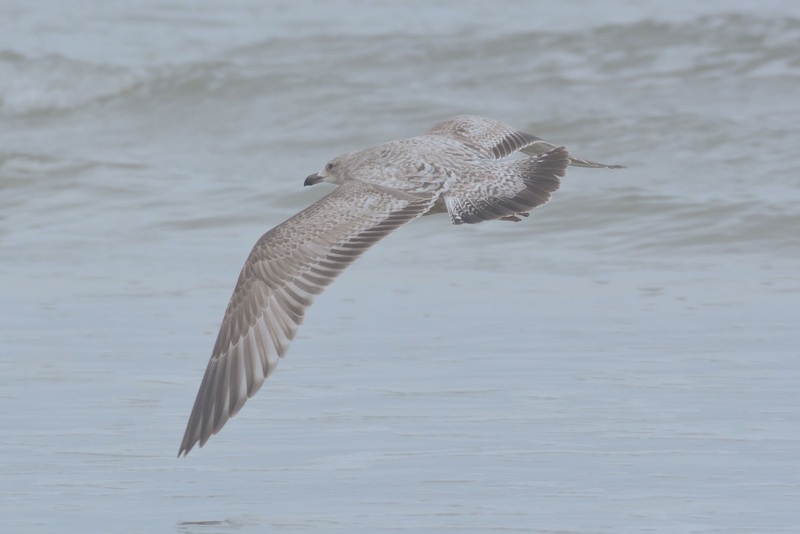 Aside from the excessively pale upperparts, the wing projection is short and the primaries and rectrices show pale edges. The flight feathers are genuinely pale - not a result of bleaching. 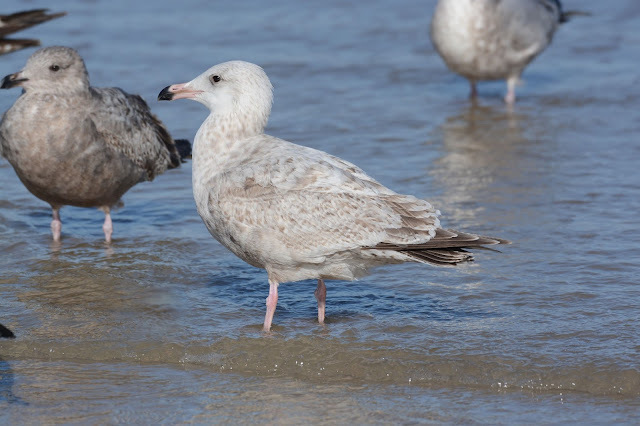 Size-wise, it towered over all the other Herrings with a muscular build and a large bi-colored bill. Below are birds that are a bit more problematic. Perhaps another putative Herring x Glaucous. 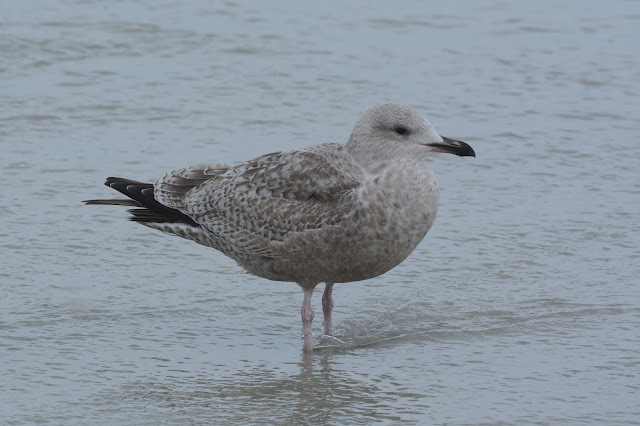 The face certainly gives a Glaucous impression. The wing coverts have internal markings similar to a white-winger, and the innermost primaries show a blotchy marbling that is often associated with pale-winged gulls. 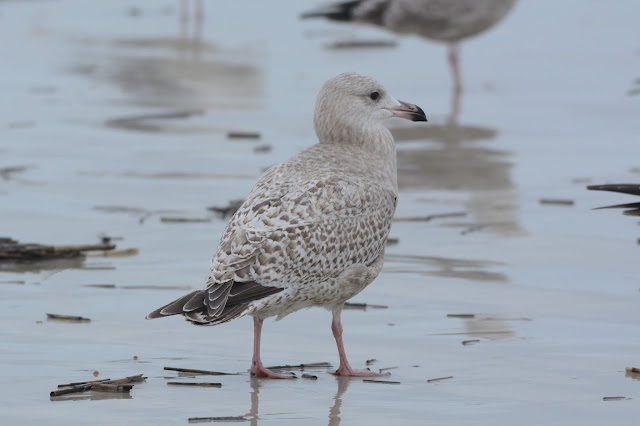 Structurally this is okay for Herring Gull, but the milky plumage aspect with extensive pale edging on the primaries is curious. 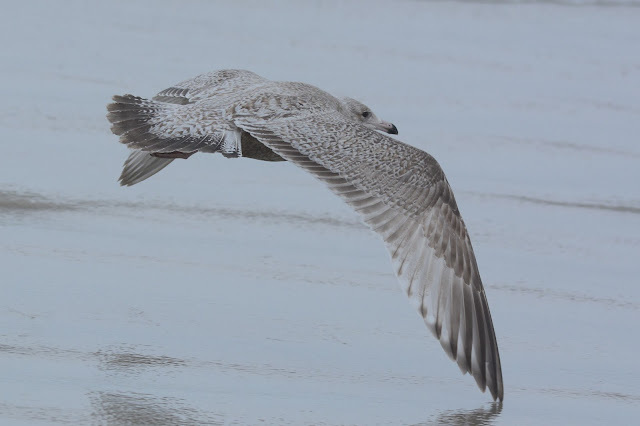 The patterned tertials don't contrast with the wing coverts much at all. The pale subterminal bars on the rectrices and marbled centers to the greater coverts are interesting. The primaries and secondaries are a lighter brown recalling thayeri. Overall, this bird is fine for smithsonianus. However, the marbled lower tertials with pale notching throughout is unusual. The inner greater and median coverts are patterned like a white-winger - some of this may be seasonal as it is late January. The small rounded upper scapulars are peculiar. Perhaps the least confusing of this bunch. 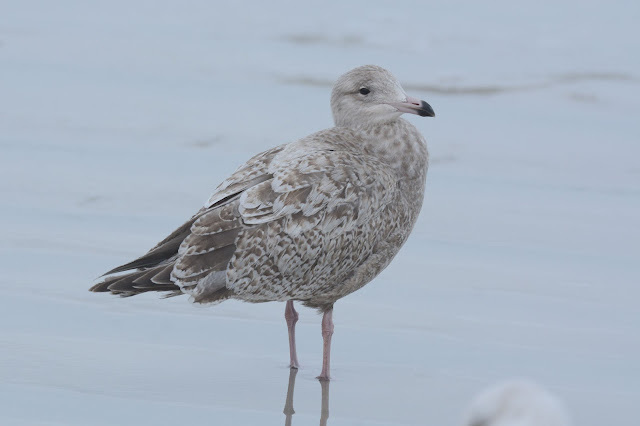 Aside from a frosted appearance to the upperparts and a venetian blind pattern to the outer primaries, I suppose American Herring is fine for this individual. The heavily notched tertials, and checkered greater coverts recall Vega Herring. The lower scapulars have large, broad, dark triangles throughout their centers. 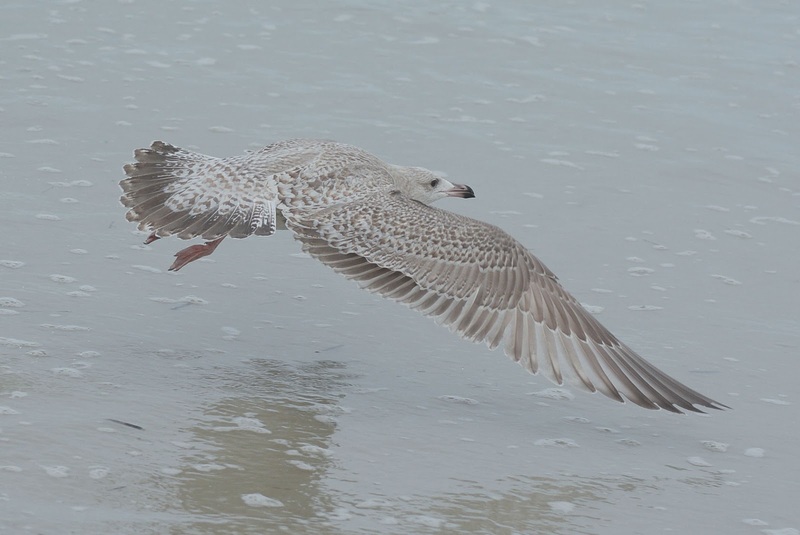 The structure to this bird was different and I have reservations about calling it an American Herring. Not unheard of in smithsonianus, the tail band tapers toward the outer edges. 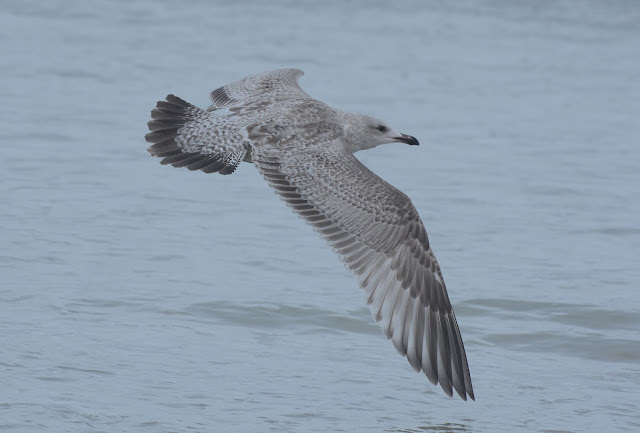 However, such a tailband coupled with this individual's upperparts is noteworthy. Although some or all of these birds may be pure HERGs, to my eye, they appear alien and outside of my comfort zone. I should stress that our accepted limits of 1st cycle American Herrings has much greater consequences than simply understanding this age group. 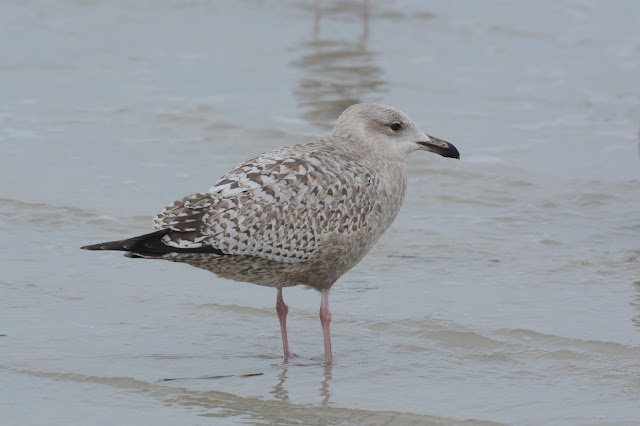 Whether we call birds that are this pale and this well patterned, smithsonianus, later has implications for how we view 2nd cycles. More on this age group soon.